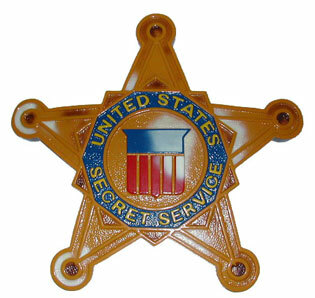 WASHINGTON — Even on Halloween, it’s probably not a good idea to impersonate a Secret Service agent. Frederick James Nickerson, of Hopatcong, N.J. was sentenced Tuesday in U.S. District Court in Washington to three years of probation for posing as a Secret Service agent. According to the U.S. Attorney’s Office, Nickerson entered the Health and Human Services building after hours on Jan. 2, flashed a badge and claimed to be a Secret Service agent. He gained entrance into the building, but was soon stopped and asked to leave, which he did, authorities said. This is not the first time Nickerson, 47, has impersonated a law enforcement. He tried on a cop uniform just two days prior, on Dec. 31, 2009, in the hopes of gaining access into the headquarters of the D.C. Police Department. Posted: 8/4/10 at 4:46 PM under News Story.